Currently, all counties are under a Flood Watch until 1 p.m. Tuesday. 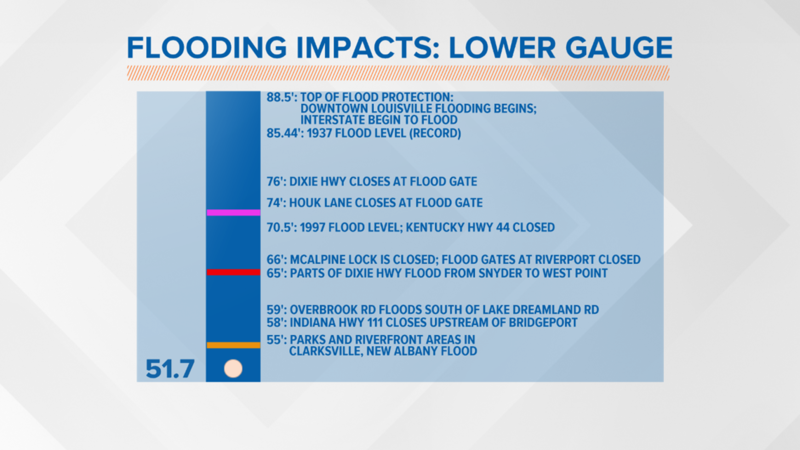 LOUISVILLE (WHAS11) -- It’s a rainy start to the week and that is impacting the level of the Ohio River. Currently, all counties are under a Flood Watch until 1 p.m. Tuesday. 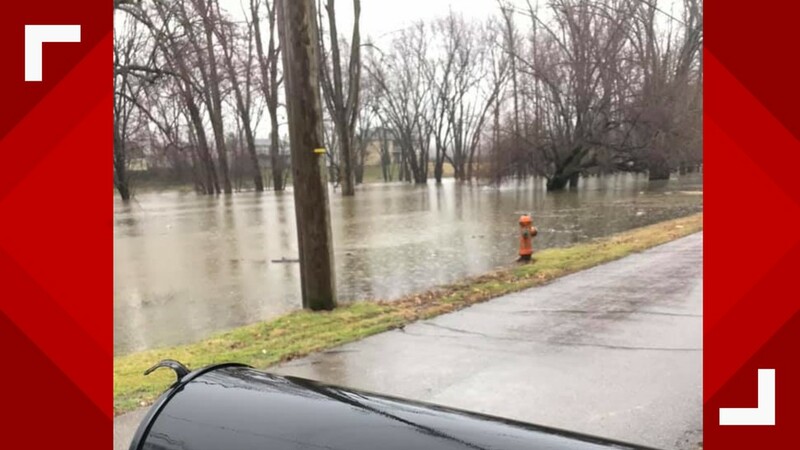 A Flood Warning is in effect until Friday at 1 p.m., for dams along the Ohio. 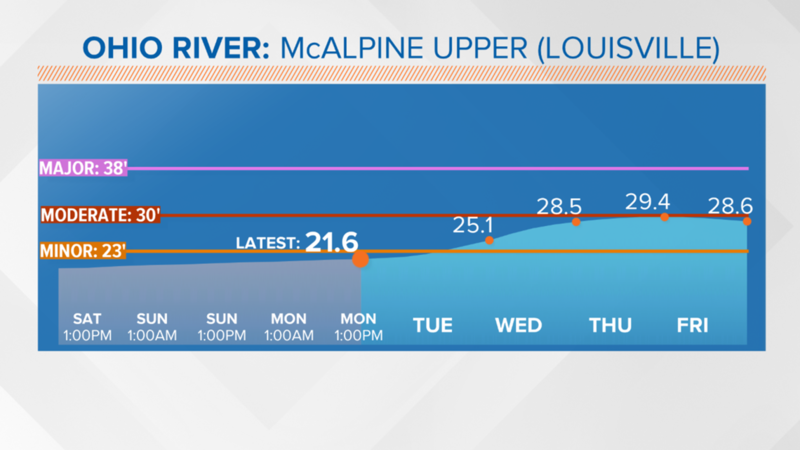 As of Monday morning, the Ohio River is expected to reach 29.6 ft., on the McAlpine Upper, and for the McAlpine Lower, the Ohio is expected to reach 60.8 ft. by Feb. 15. 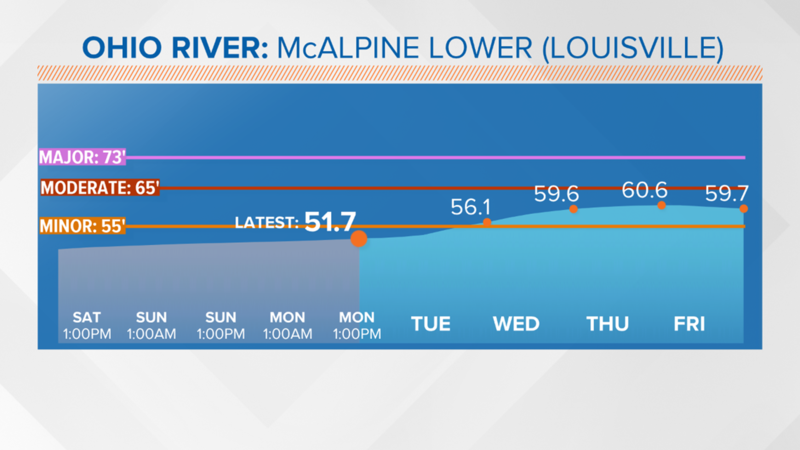 For most of this week we are expected to remain at flood stage. 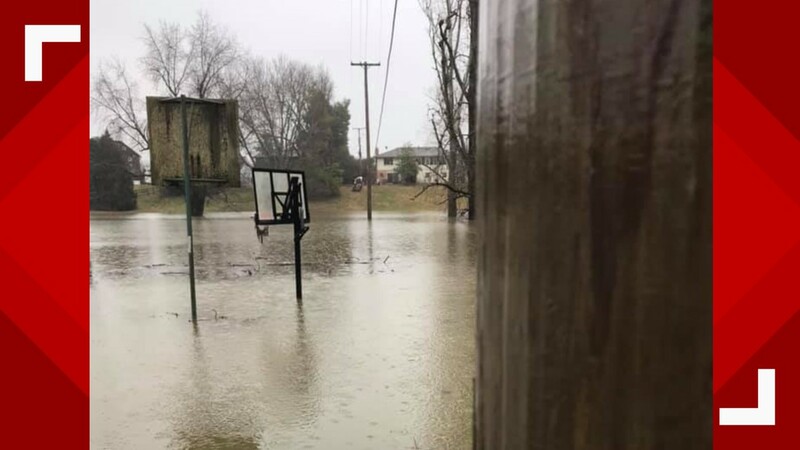 Click here to see expected levels for the Ohio from the National Weather Service. 23 ft. Some sections of River Road are closed from 3rd St. to 8th St. Eifler Beach and Juniper Beach areas are cut off. Parts of Campbell St., Frankfort Ave., and Mockingbird Valley Rd. close. Right turns onto River Rd. from the I-64 ramp are prohibited. 24.5 ft. Waldoah Beach and Transylvania Beach areas are cut off. River Road near Indian Hills Trail floods. Adams St. and Witherspoon Rd. closes. 26 ft. Mockingbird Valley Rd. 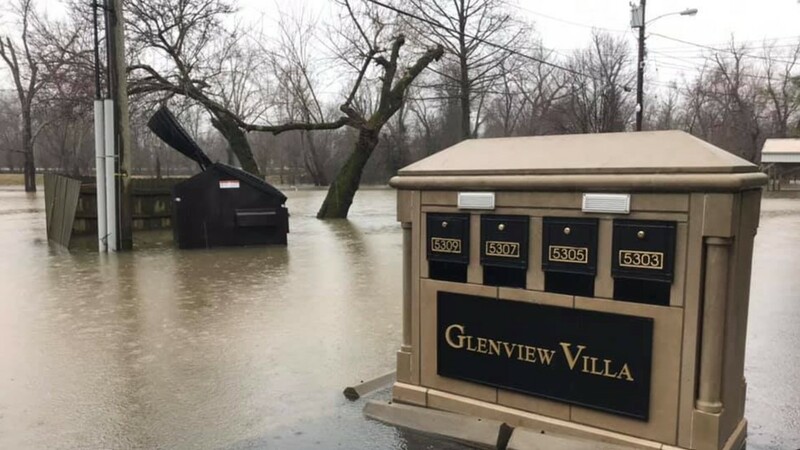 floods south of Mellwood Ave.
27 ft. River Road floods at many locations from 3rd St. to Glenview. Blankenbaker Lane closes south of River Road. River Dell Rd. floods at Mellwood Ave. Riverside Dr. floods at many locations. 28 ft. More sections of River Road floods. Beachland Beach area is cut off. Lime Kiln Lane floods south of River Road. 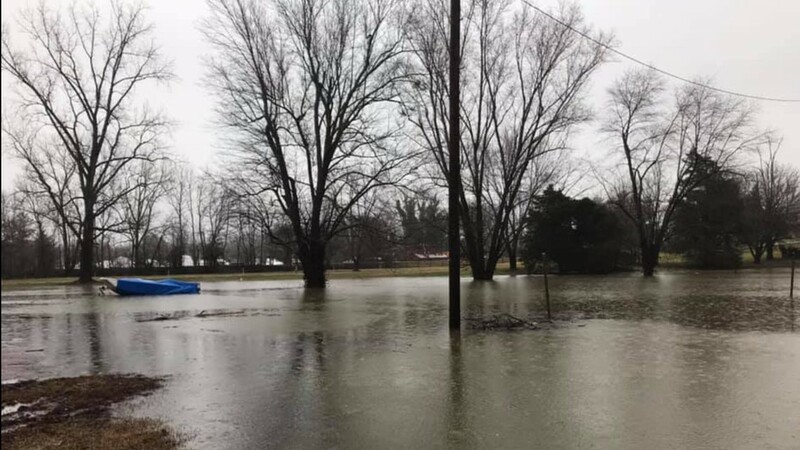 29 ft. Parts of Utica IN flood. Third Street ramp off of I-64 closes. 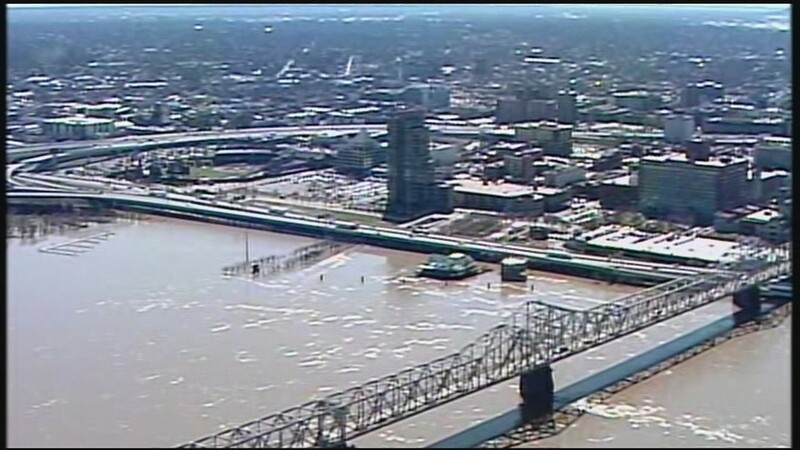 10th Streets is closed at floodgate. 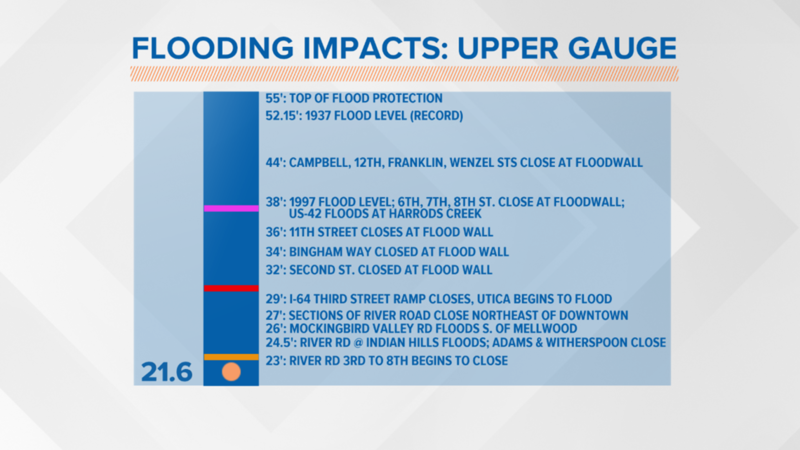 As the Ohio River rises, here is how you can expect the water to impact areas along the Ohio River. 30 ft. Utica Pike floods at Duffy's Landing in Jeffersonville. 32 ft. 2nd Street is floodgate is closed. 34 ft. Bingham Way is closed at floodgate. 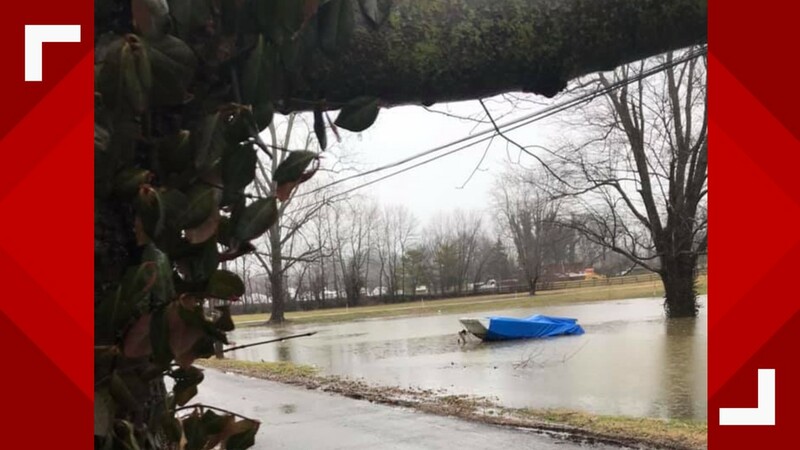 Water floods East Riverside Road near Fisherman's Wharf in Jeffersonville. 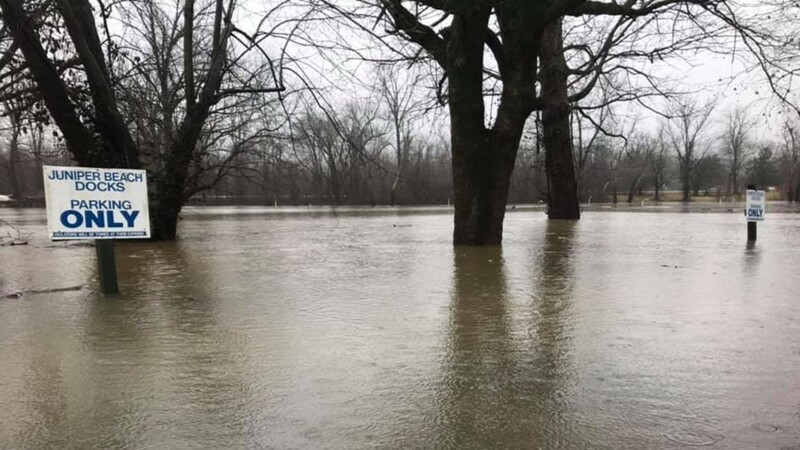 Around this time last year, the Ohio River reached 35.64 feet. 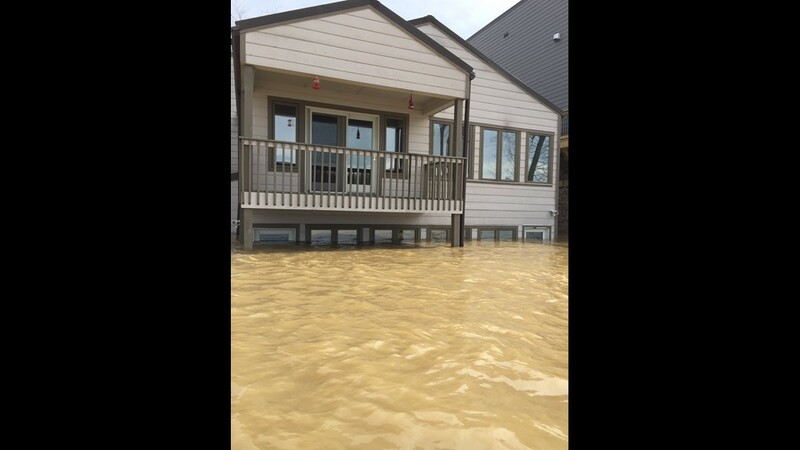 The flooding at Louisville's waterfront on Feb. 26, 2018. Click here to see the full forecast from the WHAS11 StormTeam.